"LAGOS, Nigeria — A recent demolition effort in a teeming, floating slum in Nigeria's largest city has some activists fearing the government may try to entirely destroy an area that is home to about 100,000 people. The Makoko slum rises out of the murky lagoon water separating mainland Nigeria from Lagos' islands. A government-led eviction last week that saw men in speedboats destroy homes with machetes there left about 3,000 people homeless. Some say the government's warnings about the demolition make it sound like the state wants to entirely destroy the area. But those in Makoko have created their own life independent from the state, with its own schools and clinics, however ill-equipped." The most telling line in this short report (Note: compare the amount of media lines devoted to celebrities, with reports like this about human degradation), is the last one: "But those in Makoko have created their own life independent of the state...". And SOYMB suggests this is the real reason why the slum is earmarked for demolition above all else. The human tragedy of capitalism that allows people to live in such a manner at all is bad enough, but the response from the state is worse. Rather than trying to make things better, they merely want to destroy and force those living there back 'into the system' such as it exists at all in Nigeria. Ordinarily the poor are of no interest to those concerned with making money because they have none. But their lack of usefulness to the system is tolerable up until they try, often without choice, to live outside it as these people are, then they become a threat. In the American state of New Jersey it’s official. The rich do get richer while the poor do get poorer. Money continues to flow to the wealthy, making the gap between the rich and everyone else wider than at any time since the Great Depression of the 1920s. According to the new study conducted by the Poverty Research Institute of Legal Services of New Jersey. The distribution of income between 2000 and the end of 2009 was extremely one-sided, with more than three quarters of the income gains going to the wealthy in only 20 percent of the state’s households. An estimated 75,000 ( the top one percent of the population in New Jersey) live very comfortably with incomes of at least $570,000 made up more than a quarter of the gains. On the other end of the spectrum, approximately 3 million people in the state made up 40 percent of households with salaries under $34,300 and witnessed their incomes take a beating during the recession. "It was a decade when people with money made money and everybody else didn’t,” said Harvey Fisher, spokesman for Legal Services. Nationally, the income gap mirrors what occurred in the Great Depression. Families with the top 10 percent of income drew 49.3 percent of all income in the United States in 1928. In 2007, it was 49.7 percent, according to research cited in the report. In New Zealand in a new report on income inequality the Council of Christian Social Services has reported Maori unemployment rose from 9.6 per cent in March 2009 to 14.6 per cent in March this year, while Pacific Island unemployment increased from nine per cent to 14 per cent. Between 2008 and 2011 European family median income increased by $NZ10 a week while the income of Maori families dropped $NZ40 and Pacific Island families dropped $NZ65. The latest rich list shows that collective wealth of the wealthiest New Zealanders rose by $7 billion, or 18%, in the last year. The average wage growth is forecasted to be only 3-4% for the foreseeable future, yet the rich listers' wealth is growing at a phenomenal rate of 18%. The 2011 OECD report Divided we stand showed that the income gap had grown faster in New Zealand than any other OECD country. It's Monday - Are You Happy In Your Work? It's Monday. Chances are if you're reading this, you didn't skip into work this morning whistling show-tunes and eager for the day to begin. Perhaps it was all you could do to turn the nagging alarm off, to drag you sorry-arse out of bed and get ready for the epic waste of time that has become 'earning a living'? Well, you're not alone, far from it. According to a recent American study by a susbidary of ManPower, only 19% of those surveyed were happy in their work. The vast majority were not. Similar stiduies reveal similar pictures of worker dissatisfaction. In the UK another survey in 2011 said: "The results showed that only one in 10 Britons landed their "dream job" while 31 percent said they were "unhappy" at work and 7 percent said they "hated" their current job." But what is so detestable about our daily routine and work? Like so much, it boils down to money. The majority of people have to work, living without work is not optional. Work = income and only the very few can live without working either by opting out of the system and taking an alternative lifestyle, often involving much personal privation and unacceptable living standards for the majority, or at the other extreme because they have so much money they don't need to. For many though, it is the 'have to' part that makes getting up and out to a job the worse part. To underline this point, it is interesting to note that in the UK, over 19 million people undertake voluntary, unpaid work. 19 million! Of these at least 12 million do this work at least once a month. Many of these do paid work as well, so they must either a) be mad or b) masochistic, or c) get personal satisfaction and / or interest from their voluntary positions that they do not get from their paid ones. Either way it does mean that perhaps the misery os not caused by the job or work itself, but rather the driving reaosns for one being there. Socialism offers a different persepctive on work. Based on the maxim of 'From each according to their ability, to each according to their need' work would become a thing of pleasure, of beauty and of interest to those engaged in it. Like the volunteer under capitlaism, people wuld choose to do work that is of interest to them and of social use to all. People would not be engaged in pointless activites making plastic-fantastic crap to be bought and sold and thrown away, but would be involved in creating products that are needed and ones that are made to last using proper materails, crafted with care. You would be free to choose what work you wanted to do rather than being forced to choose from limited 'careers' based on your school records and likely use within the labour market. And with the necessary workload spread across all the population, unemployment would be a thing of the past along with long hours - perhaps there would only be a need for you to work a day or two a week instead of 40, 50 or even 60 hours a week that many seem tied to now. You may, under the current state of affairs find a job you can tolerate or even enjoy if you're lucky. But that would be only you. Under a socialist system, you along with everyone else would be able to choose how you spend your time and how you contribute to the overall scheme of things and that must be a btter way of organising things than we have now. This article may not have giving you the usual crappy tips about career change or even cheered your day, but if you have thought a little bit about how things can change, then it is worth your time reading more. Visit the Socilaist Party of Great Britain's website and see how another world can be built, not based on money but on co-operation. Mondays need ever be the same again! CLICK ME and help abolish Mondays! 1% percent of America's richest individuals control 42 percent of the nation's wealth. The 400 richest people in America, according to Forbes, have more than one trillion dollars' of wealth. They each average $3.5 billion of net worth. There are nearly 150 million poor and near-poor people in America. Nearly one-third of the American so-called middle class - mostly families with children - have now fallen into poverty. There is an astonishing number of people work at low-wage jobs. Wages for those who work on jobs in the bottom half have been stuck since 1973, increasing just 7 percent. Most of the income of people in poverty comes from work. According to the most recent data available from the Census Bureau, 104 million people — a third of the population — have annual incomes below twice the poverty line, less than $38,000 for a family of three. They struggle to make ends meet every month. Half the jobs in the nation pay less than $34,000 a year, according to the Economic Policy Institute. A quarter pay below the poverty line for a family of four, less than $23,000 annually. Families that can send another adult to work have done better, but single mothers (and fathers) don’t have that option. Poverty among families with children headed by single mothers exceeds 40 percent. The census tells us that 20.5 million people earn incomes below half the poverty line, less than about $9,500 for a family of three — up eight million from 2000. In the mid-90s more than two-thirds of children in poor families received welfare. But that number has dwindled over the past decade and a half to roughly 27 percent. One result is that six million people have no income other than food stamps. Food stamps provide an income at a third of the poverty line, close to $6,300 for a family of three. At least we have food stamps, the number of recipients rising to 46 million today from 26.3 million in 2007. 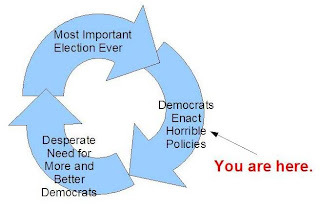 What is astounding is the number of poor and middle class Americans supporting policies that will be their death knell voting for political parties that are wholly owned and operated by the wealthiest corporations in the world. Facts seem irrelevant to many voters; the U.S. has lower tax rates than almost all of the other industrialized countries and government employment has dropped sharply in the past few years, yet the explanation for hard times is that the government is taxing too much and spending too much. There is absolutely no evidence to support the statement of presidential contestants that America is the greatest country in the world. It is 7th in literacy, 27th in math, 22nd in science, 49th in life expectancy, 178th in infant mortality. It is time for the American people to connect the dots. The world is a wealthy place and by any measure the North American region is among the wealthiest. It clearly has the resources to provide a decent standard of living for its workers and its children and elderly. "The first systematic look at the New York police department's response to Occupy Wall Street protests paints a damning picture of an out-of-control and aggressive organization that routinely acted beyond its powers. "All the case studies we collected show the police are violating basic rights consistently, and the level of impunity is shocking". To be launched over the coming months, the reports are being done under the Protest and Assembly Rights Project, a national consortium of law school clinics addressing America's response to Occupy Wall Street. In New York, researchers had to obtain documents by filing freedom of information requests with the NYPD, and Knuckey said some requests have still not been answered. The researchers also requested meetings with the mayor, Michael Bloomberg, the department of parks and recreation, the public advocate, and the district attorney's office, none of whom responded. As a legal observer during the Occupy protests, Knuckey recalled being subjected to verbal abuse, arrested and witnessed fellow police officers covering for errant colleagues. "The message all of this sends out, especially to younger officers in the force, is one of impunity," she said." Clearly the State is more worried about mass dissent than it lets be known in the press and the conclusions being drawn by protesters regarding whereby the real power lies within capitalism is giving them the jitters. The so-called land of the free isn't, just like much of the west and indeed rest of the world. Freedom is a charade, the reality is you and I are merely slaves to the machinery of profit. * And before the grammar police arrive, I know the literal translation of the Latin is 'who watches the watchmen', but the more common translation into modern parlance is as titled. As Team GB competed in the first sporting events, up to 500 people were estimated to have marched through East London. Demonstrators were not critical of the Olympics themselves, but of the way they felt the games had been hijacked by big business. Some protesters were also angry over the missiles being put on London buildings, calling it "Orwellian security apparatus." The event was captioned "No Limos, No Logos, No Launchers" in a pithy nod to what demonstrators were protesting against. “A significant number of people in this country, about 20 percent, according to a poll, are not happy with the Olympics because of the involvement of large corporations about which are significant concerns. "We are representing their views and making sure that opinion is expressed." Despite the number of protesters, the march was peaceful, and "passed without incident" according to the Met Police. This was in marked contrast to a cycling event organised by Critical mass on Friday evening, which ended in more than 100 arrests. " It's not that big a surprise to SOYMB that the games have been hi-jacked, like everything else in our society, by the big corporations in the endless quest for profit. Hopefully more and more people will join the protests and draw the inevitable conclusions that business, corporations and the whole capitalist system is not interested in the socials consequences of anything it does, only the profit does it care about.The olympics are no different. Delegations from around the world have failed to agree a U.N. arms-trade treaty to regulate the more than $60 billion industry, opting for further talks and a possible U.N. General Assembly vote by the end of the year. More than 170 countries have spent the past month in New York endeavouring to negotiate a treaty, which needed to be adopted by consensus, so any one country effectively could have vetoed a deal. No decision was taken on a draft treaty. Anna Macdonald, head of arms control at Oxfam said "Some 50,000 people lost their lives through armed violence during the course of these month-long negotiations. The out-of-control arms trade must - and will - be stopped." Only when capitalism is stopped, Anna. Only when we have socialism. More than 130 cyclists were arrested when they ignored warnings not to ride near the Olympic Park in east London as the opening ceremony was taking place, police said on Saturday. They were part of a group called "Critical Mass" who hold a monthly cycle ride in central London that police believe had been joined by other riders planning to stage a protest. "The procession usually attracts approximately 100 cyclists, but on this occasion around 400 to 500 people gathered near Waterloo (station)," Scotland Yard said in a statement. "Officers believe this may have included other individuals or groups not normally part of the monthly procession." Critical mass groups stage monthly events - usually on the last Friday of the month - in over 300 cities around the world with the loose aim of "reclaiming the streets." So a prime example of where power lies as the state machine swings into action and ensures the 'right to free speech and demonstration' is denied, again, to the masses. These Games are a living, breathing, demonstration of the nature of capitalism and the politics that spew from it as the quest and need for profits override everything else, including the charade of freedom and democracy. Yet again more evidence is being produced to show that the working time patterns enforced by mostly by the demands of the capitalist production system contributes to the early deaths of workers. Working unsocial hours has been found to increase the chances of a heart attack by more than a fifth, with the risk of a stroke rising 5%. Shift patterns, especially night shifts, have long been linked to high blood pressure, high cholesterol levels and diabetes but their was some doubt about its association with heart and artery disease. The research, the largest analysis of shift work and heart risk to date, pulled together evidence from 34 studies involving more than two million people. Coronary events – including heart attacks and angina chest pains – and strokes were more common among shift workers. The chances of "any coronary event" were increased by 24%, and of heart attacks by 23%, while stroke risk was raised slightly by 5%. which despite the relatively small effect, the impact on a large population could be significant, the authors pointed out. Night shifts were associated with the steepest increase in risk for coronary events, 41%. The economics of crime prevention starts with a assumption: executives simply weigh up all their options, including the illegal ones. Given a risk-free opportunity to mis-sell a product, or form a cartel, they will grab it. In his 1968 paper on the economics of crime, Gary Becker of the University of Chicago set out a framework in which criminals weigh up the expected costs and benefits of breaking the law. The expected cost of lawless behaviour is the product of two things: the chance of being caught and the severity of the punishment if caught. Corporate crime makes good economic sense. It is thought that ripping someone off, whether a customer or a supplier, through time a firm acting in this way will lose business, meaning that crime will not pay. The problem with this view is that the costs to customers of switching their custom, say, or the barriers to entry for competitors—can allow exploitative firms to escape punishment. Market constraints alone are not always enough to ensure good behaviour. In a 2007 paper, John Connor and Gustav Helmers of Purdue University examined 283 international cartels that operated between 1990 and 2005. The aggregate revenue increase these cartels achieved by acting as they did was over $300 billion. Even apparently hefty fines look pretty weak. Gary Becker of the University of Chicago estimates that with a 50% detection rate, and fines ranging between 10-40%, the expected cost of cartel crime is in the 5-20% range. Use a 10% detection rate, and expected punishment costs fall to 1-4%. So the expected benefits outweigh the costs. At the moment, it seems, some corporate crimes pay handsomely. Litigation and criminal charges tend to take years to emerge; many wrongdoers are able to avoid court. The modern Olympics are the brainchild of French aristocrat Pierre de Coubertin, an eccentric Anglophile who grew up feeling shamed by his country’s defeat in the Franco-Prussian War of 1870–71. On a visit to England as a young man, de Coubertin was impressed by the Rugby School’s physical-education program and considered it an example of one of the critical factors in the 19th-century expansion of British power and part of the magic formula for Britain’s imperial dominance. “Organised sport,” he came to believe, “can create moral and social strength” — and make men more likely to win wars than lose them. Coubertin was a straightforward adherent to the Social Darwinism of his time: "the superior race is fully entitled to deny the lower race certain privileges of civilized life". De Coubertin tried to start physical-education programs in French schools, with the goal of restoring his country’s honor. When that effort failed, he set out to organize an international competition, based on the ancient games near Mount Olympus, that would take place in a different country every four years. The first competition was held in Athens in 1896. The “Fundamental Principles of Olympism” are today embodied in the Olympic Charter, which explains that “Olympism is a philosophy of life, exalting and combining in a balanced whole the qualities of body, will and mind.” Writing about the Olympic Charter, Matthew Syed, a former Ping-Pong champion who competed for Great Britain in two Olympic Games, posed a question: “Is there, in the history of human literature, a document more spuriously idealistic, more breathtakingly drunk on its own self-importance?” Coubertin was delighted by the enthusiasm shown by Nazi Germany in its preparations for the Berlin Olympics of 1936: "illuminated with Hitler’s strength and discipline", and they served as a model for subsequent Games. The official representation of sports and other athletic activity center around its physical health and character building. The vast resources laid on for physical education in schools and colleges and national and municipal programs are justified by appeal to the presumed increase in quality of life or in moral character for participants. The Olympic Games are widely viewed as a chance for countries to showcase their fastest, strongest, most skilled and disciplined athletes, a time when political, economic and cultural differences are set aside and individuals are judged on personal merit alone. But the reality is often quite different if we consider the incidence of injuries to which undermines the claim of better physical condition as a result of participation. The kind of muscles used and the development of them may have no real lasting effect on quality of health. The use of drugs to train and repair players as well as for controlling pain so one can play while injured also calls such a rationale into question. And the physical deterioration of players after they cease playing suggests that this health benefit is transitory. And as far as the moral character thee is widespread cheating by coaches and players built upon envy, cynicism and hypocrisy entailed in commercialize competitive sports, as well as the sometimes abusive behavior of the spectators. Another understanding of sport is its solidarity. There can seem no greater solidarity than dozens, thousands, millions thinking, doing and feeling the same things in the same place at the same moment. Small towns, large cities, entire nations, male bonding groups and even father-son relationships make use of sports and games to define, to celebrate, to expand and to reaffirm a special to-getherness for those assembled to participate or to observe, expressing itself through tribal displays of songs and chanting, feasting and drinking. In a conflict-ridden society such as our own where each is the natural enemy of another and competitors for jobs, for land and resources, where there are class antagonists and ethnic opponents, where ever more people are impoverished, such solidarity activity is important in masking of these antagonisms. Class antagonisms, ethnic hatred and national hostilities can be assimilated to the harmless competitive in sports. Yet when the game is over, the enthusiasm dies and disharmony reassert itself. The structures of privilege, inequality and oppression are left intact. At the 100 m sprint times for the last Olympics, the winner of that race set a new world record, the difference between 1st and 2nd place was 0.2 seconds. The difference between 1st and 10th was 0.34 seconds. Is it really worth getting impressed about that a man is a fraction of a second faster than his rival? Or that somebody can throw some object further than another person? How is one declared a winner and the other a loser when both are superior examples of athletic excellence. If two teams are tied in the last minute of extra time and it is a penalty shoot-out, it may make exhilarating drama but places sports in the theatrical entertainment framework rather than demonstrate merit. Track and field events have their origins in inter-tribal, inter-feudal and inter-capitalist warfare. Field events such as the shot put, javelin,hammer throw and archery all come out of the weaponry of feudal warfare. The marathon, the hurdles, the sprint and the relay recapitulate the structure of field communication in the various military encounters between low tech armies from the wars between city-states in ancient Greece to the crusades through the feudal wars. The modern assimilation of sports to military goals came in 1811 when the Germans were occupied by the armies of Napoleon. The mass calisthenics which later came to be associated with the Hitler era, were encouraged as prelude to the overthrow of the French oppressors by German patriots. In our times, sports is shaped more by the commercial needs of capitalism. The most significant structural change in modern sports is the gradual and continuing commodification of sports. This means that the social, psychological, physical and cultural uses of sports are assimilated to the commercial needs of capitalism. .There is also the phenomenon of "muscle drain" in which talented athletes from poor countries are wooed by wealthy sports clubs abroad. (The head coach of Britain's athletics team says foreign-born athletes competing have been told to learn the words to the national anthem.) The muscle-drain phenomena is most widespread in football, a sport in which the high transfer rates that European players can demand from clubs make them resort to the much cheaper alternative of importing players from developing countries. "Young people look for a better life. Sports is a field where a huge income jump is possible, and thus they are attracted to try it," Thierry Graf, who served as president of the Ethiopian-Suisse development association Sport - The Bridge. Gordon Brown when he was Blair’s chancellor of the Exchequer, told Tessa Jowell, “We’re not going to be able to build schools or hospitals if you do these Olympic Games.” she hired economists to conduct a full-scale feasibility study, they too shot her down. “The quantifiable evidence to support each of the perceived benefits for mega-events is weak,” the study concluded. “They appear to be more about celebration than economic return.” A recent poll carried out by Reuters, 23 out of 27 economists believed that the Olympic Games in London would not bring long-term benefits. The polled economists also said British Prime Minister David Cameron was too optimistic when he said the sporting event would generate £13 billion. The cost of the Games estimated at the initial bid in 2005 was £2.37bn. Today, it stands at £11bn according to official figures. Olympics critic Julian Cheyne of Games Monitor calculates costs at £13bn. A Sky Sports investigation included public transport upgrade costs, catapulting the price tag to £24bn. These are vast sums. The Health & Social Care Bill, the Welfare Reform Bill, Workfare, all these vastly unpopular policies have been pushed through parliament on the basis of the context of austerity. More than one million shop and distribution workers face being "bullied" by big retailers that extend Sunday opening hours during the London Olympics and Paralympics, the GMB union has warned. The GMB wants "Olympic premium" pay for those required to work longer, particularly in London. The union wants workers there compensated for the extra time it will take to get to and from their employer. There are also claims that staff will be pressured into working longer shifts. The GMB is calling for a system that will ensure that anyone working additional hours during the Olympics will have done so on a voluntary basis. Meantime, members of the Olympic Family must also have at their disposal at least 500 air-conditioned limousines with chauffeurs wearing uniforms and caps. £10.25 million will be spent Oyster cards to provide free travel for 370,000 people involved in the Games. London must set aside, and pay for, 40,000 hotel rooms, including 1,800 four- and five-star rooms for the I.O.C. and its associates, for the entire period of the Games. Olympics is big business. There is an expensive machine behind the Games that is funded by corporate sponsors. Sadly when these sponsors are selected, money talks much more loudly than values. The IOC's so-called TOP sponsors pay at least $100m each for 10-year contracts, while Tier One sponsors for the London Games alone have paid around £40m each. London 2012 organisers have raised £700m from domestic sponsors towards the £2bn cost of staging the Games. The Olympics branded ‘the greenest ever’ is being sponsored by BP, responsible for one of the biggest oil spills in history. Allegations against BP include that they fund human rights abuses and death squads in Columbia; one community leader described their impact as creating poverty, militarization and environmental disaster. Last year a BP led consortium was found guilty by the British Government of breaching human concerning the security on a pipeline that stretches over Azerbaijan, Georgia and Turkey. Dow Chemicals, have a long history of profiting from death, they produced Napalm for the Vietnam War and were involved in the manufacture of Agent Orange; both these weapons are still having adverse effects on Vietnam, Laos and Cambodia and have steadfastly refused to adequately compensate the victims of one of the deadliest pollution disasters, the Bhopal gas leak in India where 10000 died and tens of thousands crippled, are sponsoring this Olympics. The mining company Rio Tinto has a terrible legacy of death and ecological destruction that it brings to the games. The Norwegian Government in 2008 sold its shares in the company and explained that it was due to its participation in the Grasberg Mine in Papua New Guinea, the largest gold and third largest copper mine in the world.Tribal leaders, Human Rights campaigners and ecologists have accused the company of promoting the genocide of the local indigenous peoples, mainly the Amungme and Kamoro, whilst destroying thousands of acres of their rainforest lands, polluting vast swathes of the forest and river systems, sponsoring military repression, human rights abuses including torture and desecrating their sacred spiritual relationship to the land. One Amungme community leader asserted that, "If we were seen as human… they would not take the most valued property of the Amungme, just as we have never taken the property of others… I sometimes wonder; whose actions are more primitive"
Arcelor Mittal faced protests about their plans to build a steel plant in India, which will have an vast ecological impact and destroy the lives, lands and livelihoods of the rural population. Lloyds TSB is accused of providing banking services for the manufacturers of cluster bombs, which are outlawed by international law. Likewise, EDF and General Electric are involved in the proliferation and manufacturing of nuclear weapons. The Olympics said to promote a healthy active lifestyle for young and old, is being sponsored by McDonalds, partly responsible for our obesity epidemic. In fact, the world’s largest McDonalds is being built in the Olympic Park. Nutrition expert on obesity, Prof Terence Stephenson criticised allowing companies such as Coca-Cola and McDonalds to sponsor the London 2012 Olympics "sends the wrong message. They clearly wouldn't be spending the money if they didn't benefit from being associated with successful athletes,"
And then there are the Paralympic Games, being sponsored by ATOS, the company that hounded many of our country’s physically disabled and mentally ill people as they undergo strenuous and stressful work assessments to drive them back to work when still physically unfit to do. Militarised fortressification has become standard procedure for host cities and London is no exception in being turned into a fortress this summer. 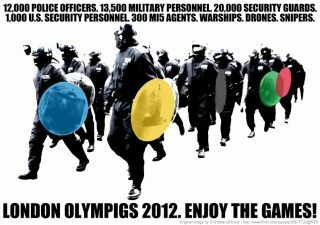 23,000 G4S private security officers will be operating during the London 2012 Olympics and a naval battleship, HMS Ocean, berthed in the Thames, surface-to-air missiles at the ready and 17,000 military personnel, thousands above troop levels currently deployed in Afghanistan. The US declared it will send its own security to London, including 500 FBI agents. Lightweight aerial drones will hover above while "combined firearms response teams" – elite police units replete with snipers – roam below. Ground-based air defence systems could be deployed as part of a multi-layered air security plan, including Typhoon fighter jets and helicopters, which will protect the skies over London during the Games.Surface-to-air missiles are set to be deployed on top of residential block of flats. A device which can be used as a "sonic weapon" will be deployed. The Long Range Acoustic Device (LRAD) emit a beam of pain-inducing tones. It has been successfully used aboard ships to repel Somali pirates. Proclaiming that politics has no place in sport and with the IOC’s official charter forbidding the expression of anti-Olympic dissent, stating in Rule 51, "No kind of demonstration or political, religious or racial propaganda is permitted in any Olympic sites, venues or other areas". Little-noticed measures passed by the Government and introduced by the Olympics Act of 2006, passed by the Department for Culture, Media and Sport, supposedly to preserve the monopoly of official advertisers on the London 2012 site. But the law has been drawn so widely that it also includes 'non-commercial material' - which could extend its reach to include legitimate campaign literature will allow police officers and Olympics officials to enter private homes and shops near official venues to confiscate and seize any protest material.. Breaking the rules could land offenders with a fine of up to £20,000. Civil liberties groups compared the powers to those used by the Communist Chinese government to stop political protest during the 2008 Beijing Games. Amazingly, in the Queens Jubilee year it has been agreed that wherever the Olympic flag is displayed, it MUST fly higher than the Union Jack. So much for patriotism! London must cede to the I.O.C. the rights to all intellectual property relating to the Games, including the international trademark on the phrase “London 2012.” Although mail service and the issuance of currency are among any nation’s sovereign rights, the contract requires the British government to obtain the I.O.C.’s “prior written approval” for virtually any symbolic commemoration of the Games, including Olympic-themed postage stamps, coins, and banknotes. The Spectator, publicized excerpts from the Olympic Games contract said the “British authorities have cravenly agreed to let the I.O.C. create what is, in effect, a state within a state.” The contract requires British customs officials and London police to confiscate all non-licensed goods bearing the Olympics name or logo, be they fake T-shirts or marzipan renderings of the five Olympic rings on cakes in bakery windows. To help officials do this job, the contract stipulates that “brand protection teams” must be formed to roam the city. Inside Olympic venues, spectators may not “wear clothes or accessories with commercial mes­sages other than the manufacturers’ brand name.” London must ensure that there is no non-official propaganda or advertising in the airspace above the city while the Games are going on, and for two weeks prior. No Olympic venue, and no access routes to any Olympic venue, may be decorated in any way “that would conflict with or cause a breach of any” official Olympic corporate sponsorship. London must “obtain control of all billboard advertising, city transport advertising, airport advertising etc. for the duration of the Games and the month preceding it to support the marketing programme” of the I.O.C. Attention is increasingly turning to what many legal experts consider to be the most stringent restrictions ever put in place to protect sponsors' brands and broadcasting rights, affecting every athlete, Olympics ticket holder and business in the UK. Pub landlords will be banned from posting signs reading: "Come and watch the London Games from our big screen!" The Games organisers Locog insists the protections were essential to secure the contracts that have paid for the Olympics, but some fear the effect could be to limit the economic benefits to the capital's economy – and set a precedent for major national celebrations in future. Since the Sydney Games in 2000, the International Olympic Committee (IOC) has required bidding governments to commit to introducing bespoke legislation to offer a further layer of legal sanction. A spokeswoman of Locog said: "If we did not take steps to protect the brand from unauthorised use and ambush marketing, the exclusive rights which our partners have acquired would be undermined. Without the investment of our partners, we simply couldn't stage the Games." Paul Jordan, a partner and marketing specialist at law firm Bristows, which is advising both official sponsors and non-sponsoring businesses on the new laws says "It is certainly very tough legislation. Every major brand in the world would give their eye teeth to have [a piece of legislation] like this. One can imagine something like a Google or a Microsoft would be delighted to have some very special recognition of their brand in the way that clearly the IOC has." As well as introducing an additional layer of protection around the word "Olympics", the five-rings symbol and the Games' mottoes, the major change of the legislation is to outlaw unauthorised "association". This bars non-sponsors from employing images or wording that might suggest too close a link with the Games. Expressions likely to be considered a breach of the rules would include any two of the following list: "Games, Two Thousand and Twelve, 2012, Twenty-Twelve". Using one of those words with London, medals, sponsors, summer, gold, silver or bronze is another likely breach. The two-word rule is not fixed, however: an event called the "Great Exhibition 2012" was threatened with legal action last year under the Act over its use of "2012" (Locog later withdrew its objection). A photoshoot promoting EasyJet's new routes from London Southend airport was also interrupted by a Locog monitor after local athlete Sally Gunnell was handed a union flag to drape over her shoulders. According to reports, Locog felt this would create too direct an association with her famous pose after winning Olympic gold in Barcelona in 1992 (British Airways, rather than easyJet, is the airline sponsor of London 2012). Twitter has already agreed to work with Locog in barring non-sponsors from buying promoted ads with hashtags like #London2012. The Chartered Institute of Marketing called the restrictions around the London Games too draconian and raised concerns "that a precedent will have been set which unduly prohibits businesses tapping into current national and societal events". John Walker, chairman of the Federation of Small Businesses, said the clampdown by Locog (London Organising Committee of the Olympic Games) on use of symbols and terminology had gone too far. "Locog appear to have lost all sense of reasonableness and proportion," he said. "Given that the Games were 'sold' to the taxpayer as a boon for the UK economy, small firms should feel the London Olympics are an opportunity, rather than a threat. We carried out a detailed survey of our members in January that revealed a mere seven per cent of small businesses thought the Olympic Games would benefit them while a quarter thought they would damage trade." University of Derby was forced to take down a banner which read, "supporting the London Olympics", while bakers at the British Sugarcraft Guild were told that using the logo on cakes was unacceptable. Simon Walker, director general of the Institute of Directors, said Locog were "overzealous to prevent anyone from using the word Olympics". More than 75,000 firms that have done work to deliver London's Olympic Games are subject to a 12-year gagging order preventing them from talking about the work they have done, even on websites, denying them recognition for their work in building the Olympic Village and providing other goods and services. Suppliers, contractors and sub-contractors had to sign up to a "no marketing rights suppliers' protocol". In fact , firms cannot even acknowledge that they have worked on the Olympic event, obliged to forard all enquiries to Locog! The ban affects a range of firms, from major infrastructure companies that have built roads and stadiums to smaller sub-contractors that have provided services such as security and plumbing.The rules are designed to protect the rights of high-spending sponsors during the 10 weeks of the Olympic and Paralympic Games. Mirna would love to go to the London Olympics, but the airfare alone would cost her half a year's wages. The closest she'll come is stitching jackets and T-shirts emblazoned with the 2012 logo. "Ethical? I don't think so. The only privilege is we work harder than ever." On hearing that the London Games are being vaunted as the most ethical ever, Ms Hadijah laughs and looks bemused. "If we only work 40 hours a week, with no overtime, things are really tight," she says. "And I'm single. What about people with families?" Olympic-branded gear – to be worn by British athletes and Games volunteers – is being manufactured for Adidas in sweatshop conditions in Indonesia, making a mockery of claims by London 2012 organisers that this summer's Games will be the most ethical ever. The Independent has uncovered widespread violations of workers' rights in Indonesia, where nine locally owned and managed factories have been contracted to produce Olympic shoes and clothing for Adidas While the German company – which unveiled its Stella McCartney-designed kit for British athletes last month – hopes to make £100m from its Olympic lines, the mainly young, female factory employees work up to 65 hours (25 hours more than the standard working week), for desperately low pay. They also endure verbal and physical abuse, they allege, are forced to work overtime, and are punished for not reaching production targets.None of the nine factories pays its employees a living wage – about 20 per cent higher than the official minimum wage – one of the cornerstones of the Ethical Trading Initiative (ETI) base code, an internationally recognised labour code adopted by the Olympics organising committee, Locog. Workers struggle to survive on pay as low as 5,000 rupiah (34p) an hour, skipping meals to save money, and sending their children away to be looked after by grandparents. The ETI base code – which Locog says must be complied with by all companies supplying goods to Olympic licences – also stipulates freedom of association. Yet workers allege that some unions are not given bargaining rights by Adidas's Indonesian suppliers. At PT Shyang Yao Fung, in the industrial city of Tangerang, west of Jakarta, 10 workers were suspended a month ago – and face being laid off – because of their union activism, they believe. Even for those with jobs, conditions at Taiwanese-owned Shyang Yao Fung – which produces women's sports shoes – are poor, according to workers. While business has been slow lately, employees – whose basic pay is 1.53m rupiah (£105) a month – have in the past been asked to work five hours of overtime a day, they claim. "The management says that overtime is compulsory," said Sobirin, 32, wolfing down a plate of nasi goreng in a Tangerang café. "And there are many times when workers are working without payment on overtime, or are not paid properly. Every day there's a worker who passes out because they're exhausted or unwell." At another Tangerang factory, PT Panarub Industry – Adidas's main global supplier of football boots, and outfitter of some of Britain's Olympic footballers – workers are proud to have shod David Beckham, Frank Lampard, Lionel Messi and Zinedine Zidane. However, in common with workers at other factories, they say they face intense pressure to meet production targets. "It's hard to get permission even to go to the bathroom; we're tied to our seats," said Yuliani, a 23-year-old seamstress, speaking metaphorically. "If you're forced to go, the pile of work becomes so high that you get shouted at by the production line leader. They call you a dog, brainless, uneducated. Sometimes we have to sacrifice our lunchbreak to reach the target." Her colleague, Ratna, added: "If the leader gets really angry, they throw the shoes in front of the workers. Once on my line I saw a worker get hit by a shoe." Some workers described being slapped in the face and having their ears pinched by managers. At PT Pancaprima, in Tangerang, supervisors use a loudspeaker to berate production lines hourly for failing to meet targets. "It's humiliating," said Margi Wibowo, 41, who works in the warehouse. At PT Golden Castle, in Jakarta, workers have to eat their lunch outside, squatting on the ground, near a rubbish tip. "It's really smelly sometimes, and it's near the port, so it's very dusty," said Surati, 32. "When the wind blows, the rice gets mixed up with the dust." The sweatshop allegations follow the resignation of Meredith Alexander, one of Boris Johnson's "ethics tsars", over the awarding of a stadium contract to Dow Chemical, the current owner of Union Carbide Corporation, responsible for the 1984 Bhopal gas disaster. None of the Indonesian employees had heard of the ETI base code, and none knew about Locog's complaints mechanism, set up to enable workers to report labour violations. This is hardly surprising – as recently as February, Locog had yet to disseminate its information material in factories, and had translated it only into Mandarin. Four of Adidas's Indonesian suppliers pay less than the minimum wage for the garment industry. Adidas said in a statement that only one company paid less. It added that excessive working hours were "an exception, not the norm," and that overtime had to be voluntary. In relation to Shyang Yao Fung, the company said it had learnt only three days ago that "several" union officials had been laid off, along with 150 other workers, "due to a factory downsizing". It said it was aware only of isolated cases of harassment or abuse, and was "disturbed" by the allegation of workers being locked up for not meeting targets. Official Olympic clothing sold by Next is claimed to have been produced in sweatshop conditions in Sri Lanka. Workers at the company's factory in Sri Lanka allegedly receive poverty wages and are forced to work excessive overtime and to meet unrealistic, ever-increasing targets. Next denies the claims but has launched an investigation.Next's Sri Lanka factory employs 2,500 people making, among other items, London 2012-branded jackets, blazers, shorts and T-shirts. Employees claim they are routinely forced to work 60 hours of overtime a month. Staff also claim they have no contracts and frequently face being laid off with no notice, with management threatening to sack them if they join a union. Workers who have protested were victimised, researchers found. Typical wages for working 12-hour days were found to be about 12,000 Sri Lankan rupees a month (£58). Other abuses cited included agency staff made to work for 18 hours at a stretch – day shifts at the Next factory, followed by overnight shifts in a different factory next door. Such workers also say that their wages are often paid irregularly. Playfair says there is evidence that staff are deliberately recruited from poor areas to ensure an illiterate and compliant workforce. Anton Marcus, joint general secretary of the Free Trade Zones and General Services Union in Sri Lanka, said: "This is forced labour." The International Olympic Committee talks of “building a better world through sport" but the real truth is that they reinforce acceptance of the present exploitative world. War on Want said thousands of people around the world were working long hours on poverty wages in appalling conditions to make Adidas goods. War on Want sweatshops campaigner Murray Worthy said: "Around the world, thousands of people making Adidas goods face appalling conditions, poverty wages and excessive working hours, with little dignity or respect. This is exploitation. Exploitation of workers is not ok, no matter where they are. Adidas must take responsibility for the workers who make their clothes." Since London won the Games bid are school sports, the budget for which has been cut from £162m to just £35m, resulting in thousands of sports coaches and co-ordinators being sacked; free swimming for under-16s and over-65s; County Sport Partnerships, which lost £3m; and Cycling England, which was funding 18 towns to improve cycle routes when it was shut. Last December the Government dumped its target of getting one million more Britons playing sport by 2013, when it became clear participation was levelling off or falling in most mainstream sports. Swimming saw the biggest drop in participation, with 435,000 fewer people taking to the pool regularly in 2010-11 than in 2007-08. Numbers also fell in tennis, football and rugby. Among those aged 16 to 19 – a key target group – overall sporting participation fell by more than 100,000 to 825,900. As Chomsky points out "common folk" with little interest in politics demonstrate astounding knowledge about sport. "People know a tremendous amount. They know all sorts of complicated details and enter into far-reaching discussion about whether the coach made the right decision yesterday and so on. These are ordinary people, not professionals, who are applying their intelligence and analytic skills in these areas and accumulating quite a lot of knowledge and understanding....There are also experts about football, but these people don't defer to them. The people who call in talk with complete confidence. They don't care if they disagree with the coach or whoever the local expert is. They have their own opinion and they conduct intelligent discussions. I think it's an interesting phenomenon...The gas station attendant who wants to use his mind isn't going to waste his time on international affairs, because that's useless; he can't do anything about it anyhow, and he might learn unpleasant things and even get into trouble. So he might as well do it where it's fun, and not threatening -- professional football or basketball or something like that. But the skills are being used and the understanding is there and the intelligence is there." Time for the Olympics was for the high jump! In 1921 in West Virginia as many as 15,000 armed miners mounted an insurrection after a series of assassinations of union leaders and their chief supporters, as well as mass evictions, blacklistings and wholesale firings by coal companies determined to break union organizing. Miners in other coal fields across the United States had concluded a strike that lasted two months and ended with a 27 percent pay increase. The miners in West Virginia and eastern Kentucky wanted the same. They wanted to be freed from the debt peonage of the company stores, to be paid fairly for their work, to have better safety in the mines, to fight back against the judges, politicians, journalists and civil authorities who had sold out to Big Coal, and to have a union. They grasped that unchallenged and unregulated corporate power was a form of enslavement. And they grasped that it was only through a union that they had any hope of winning. Miners who wanted jobs had to sign “yeller dog” contracts promising they would not “affiliate with or assist or give aid to any labor organization,” under penalty of immediate loss of jobs and company housing. Baldwin-Felts spies, private security goons hired by the mine owners, informed on miners who talked of organizing. This led to dismissal, blacklisting, beating and sometimes death. The coal fields were dominated by company towns. Corporate power had seeped into every facet of existence. And resistance was costly. The murder of Sid Hatfield triggered the miners’ rebellion and the Battle of Blair Mountain, the largest armed insurrection in the United States since the Civil War. The coal companies, to break a strike in the spring of 1920, sent in squads of Baldwin-Felts detectives, nicknamed “gun thugs” by the miners, to evict miners and their families from company housing. Soon hundreds of families were living in squalid, muddy tent encampments. During an eviction on May 19 of about a dozen miners and their families—in which, as today, possessions were carted out and dumped into the street—Hatfield ordered the arrest of the company goons. He confronted the “gun thugs” at the train station at Matewan after the evictions. Shooting broke out. When it was over, seven Baldwin-Felts detectives, including Albert and Lee Felts, were dead. Another detective was wounded. Two miners were killed. Matewan’s mayor, Cabell Testerman, was mortally wounded. The gun battle emboldened the miners. By July there was almost no coal coming out of the mines. Hatfield was acquitted of murder charges. Hatfield as well as a friend, Ed Chambers were assassinated on the court-house steps by Baldwin-Felts agents. The assassinations set off an insurrection. The coal owners organized militias and recruited units of heavily armed law enforcement officers. They hired private airplanes to drop homemade explosives on miners encamped on the mountain. War "hero" Billy Mitchell, one of the early advocates of air power, volunteered the Army’s 88th Squadron to carry out aerial surveillance for the coal companies. The miners, many of them veterans of World War I, fought militias and police, who were equipped with heavy machine guns, for five days. The militias and police held back advancing miners from a trench system. The Army was finally ordered into the coal fields in early September 1921 to quell the rebellion. The miners surrendered. By the time the battle ended, at least 30 of those defending the mine owners had been killed along with perhaps as many as 100 rebel miners. West Virginia indicted 1,217 miners in the rebellion, charging some with murder and treason. There were acquittals, but many miners spent several years in prison. The union was effectively broken. In 1920 there had been about 50,000 United Mine Workers members in West Virginia, and by 1929 there were only 600. Sound familiar? It is an old and cruel tactic in any company town. Reduce wages and benefits to subsistence level. Break unions. Cut social assistance programs. Buy and sell elected officials and judges. Fill the airwaves with mindless diversion and corporate propaganda. Pay off the press. Poison the soil, the air and the water to extract natural resources and leave behind a devastated wasteland. Plunge workers into debt. Leave them owing more on their houses than the structures are worth. Make sure the children will be burdened by tens of thousands of dollars lent to them for an education and will be unable to find decent jobs. Make sure that everything from hospital bills to car payments to credit card fees exact increasing pounds of flesh. And when workers stumble, when they cannot pay soaring interest rates, jack up rates further and deploy predators from debt collection agencies to harass the debtors and seize their assets. Then toss them away. Company towns all look the same. And we all live in one. The coal companies have erased this piece of history from school textbooks. amid today’s rising corporate exploitation and state repression, represents a piece of American history that corporate capitalists, and especially the coal companies, would have us forget. It is a reminder to workers of that corporate machine intent on subjugating them. It exposes predatory capitalism’s ruthless commodification and exploitation of human beings and the natural world. It exposes the drive by corporations to keep us impoverished, disempowered and unorganized. If capitalism can sanitize history, they can ensure historical amnesia and they can continue to rule our lives. Until we begin to trust in our own strength, nothing will change. The gains, paid for with the lives of working men and women, are now being reversed. We are back where we started. We must organize, resist and build movements. We must embrace socialism. 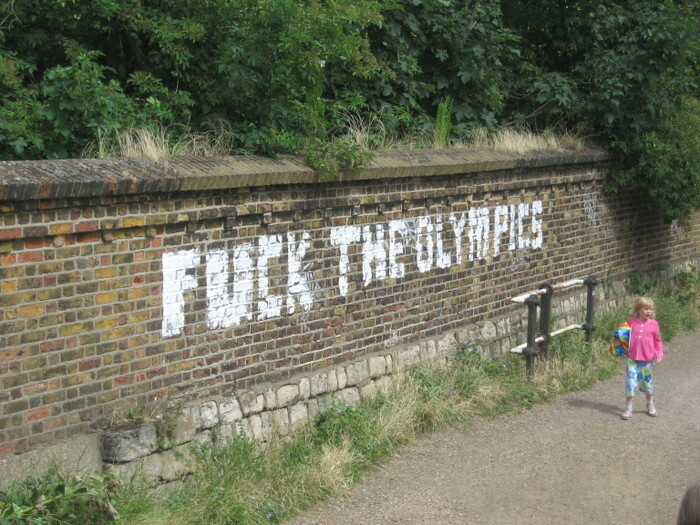 "Everyone here hates the Olympics," says the graffiti spray-painted on the wall of a derelict peanut factory just outside London's glitzy new Olympic stadium. Tucked away in one of London's roughest neighbourhoods, the crumbling factory is long out of use, having been taken over by a motley crew of artists, musicians and circus performers united by their disdain for the 2012 Olympic Games. "The stadium is right next door. But it doesn't aid the local community," said Kunal Modi, a 25-year-old musician living in bohemian squalor in the huge Victorian building. "They are all talking about how it's going to have a knock- on effect on the local community but people haven't been allowed to capitalise on it. So that's outrageous." Millions of foreign visitors descending on London this month may not notice, but within sight of the gleaming Olympic venues are some of the city's most troubled neighbourhoods where the unattainable glamour of the Games has only fuelled resentment. It was here, in worrying proximity to the Olympic sites, that gangs of masked teenagers went on the rampage last year, looting shops and turning streets into battle zones - a trauma that still hangs heavily over the socially segregated area. "Inspire a generation" is the motto of the Games and officials are confident there will be a positive long-term impact, with plans to spend more than 300 million pounds ($470 million) to transform the area into a new and prosperous part of London. Outside one Olympic venue in the industrial area of Hackney Wick, M Royce - he gave only his initial - stared blankly at a security fence around the facility as he described his struggle to find a job. "It's two different worlds. They are not going to meet in the middle. The rich are getting richer and the poor are getting poorer," said Royce, a second generation Londoner whose family came from Ghana and who has been jobless for two years. "That's what it boils down to. Give me a job and I'll do it. I've been promised a job working at the Olympics as a security guard, they've done all the vetting, all the checks, and I am still waiting. I am one of the statistics, one of the victims." Professor Mike Hardy of the Institute of Community Cohesion, who has advised the government on social issues in London, said the arrival of better housing and richer tenants in the area could add to people's sense of alienation if mishandled. He said the local residents needed to understand how they would benefit from the new facilities, and not be left on the outside looking in. "In London the haves and have-nots live cheek by jowl and generally we do that pretty well," he said. "I'm concerned that if the local community isn't fully involved then the investment in infrastructure could paper over the underlying problems." "The Olympics has changed the geography of London and moved the centre East," said Liza Fior who designs public spaces as part of a London architecture and art project known as muf. "The Games will raise aspirations and expectations but the Olympic investment in East London has masked the full extent of the cuts in public services - cuts which will be even greater in the next financial year." "A lot of these kids don't know why they are angry ... I can imagine were I 10 years younger I could've been there," said Modi the musician, whose family came from India in the 1970s. "I was an angry kid I guess. It's easy to get swept in these things when you are 15," he added. As he spoke, police helicopters rumbled overhead and a scruffy t-shirt reading "Don't touch me, I am local" fluttered on a clothesline. So much for 'It's Your Games' then. In reality any fool can see that the Olympics are less about amateur sports and friendly competition, but more about corporate profit making and a great way of developers to bulldoze through local communities at the same time. Caterpillar is the global leader in producing earth-moving equipment, such as bull-dozers and mining equipment. Workers at a Caterpillar plant in Joliet, Illinois have been on strike for three months because the company wants them to take a 6 year freeze on their wages and a pension freeze. Caterpillar in 2011 had earnings of $4.9 billion last year. They had earnings north of $1.5 billion in the first quarter of 2012. They made a profit per employee of $39,000. The company claims that the freeze is needed because the workers are getting paid above market rates. Did these workers not bring in record profits with their good skilled labor? The workers were directly responsible for producing the product that created these profits. What is obscene is while workers receive a wage freeze supposedly “for the good of the company”, the executives are all getting raises and bonuses and the shareholders will get a lion share of the profits in dividends and capital gains having supposedly “risked” their investment.There can is a desire to satisfy shareholders by maximizing profits, and labor is the major cost of doing business. Is this not class warfare? Caterpillar, General Electric, and others are among the big multinational companies that are currently expanding employment in the United States. But the new jobs they are creating are usually modestly paid (often in the range of $12 to $15 an hour), and the companies are determined to keep a tight lid on future wages and benefits. For much of the 20th century, employees, many of them organized by labor unions though many not, were able to demand higher wages and benefits because corporations had few alternative sources of labor and were usually able to pass some of the higher costs on to their customers. Government played a role through the tax system, but the big redistribution programs – such as Social Security, Medicare, and Medicaid – largely benefited those not in the labor force. Globalization changed that. First, the lowering of trade barriers created intense new competition for U.S. corporations. Those saddled with overly expensive labor contracts, such as the Big Three auto companies, found themselves unable to compete with overseas rivals. Secondly, an expanding global market for investment allowed U.S. companies to set up operations overseas and then export back to the United States or to other markets. The new trade competition forced American companies to cut costs; the new investment openness gave them an effective means for doing so. The result was a huge shift in the balance of power that strengthened global corporations like Caterpillar and weakened the bargaining leverage of their employees. Since the 1970s, corporate after-tax profits as a share of GDP have risen, with several wide swings depending on economic cycles, from an average of about 5 per cent to more than 10 per cent in 2010, the highest since records began in 1929. Wage and salary income, in contrast, has fallen steadily from close to 55 per cent of GDP in the early 1970s to less than 45 per cent today. It has been more or less impossible for even the most powerful and well-organized unions, like the International Association of Machinists currently on strike against Caterpillar in Joliet, to resist these trends. The companies have too many options – from bringing in temporary workers to simply shutting down and moving the work somewhere else. Often the threat of relocation is enough to persuade unions to accept concessions. The effects of this reverberate through the broader economy. U.S. multinational companies have historically paid some of the highest wages in the country, 25 percent above the overall average. If wages at the biggest and best companies are fixed or falling, wages will be tamped down at smaller companies as well. And of course the general weakness of the economy and high unemployment are also suppressing wages, exacerbating trends that existed long before the 2008 financial crisis and its aftermath. Robert Bruno, a labor relations professor at the University of Illinois, said Caterpillar was trying to drive wages down to a new floor said “Caterpillar sees this as ‘the new normal,’ while this union local feels you have to draw a line in the sand to hold on,” he said. “Some people are saying the union should be more deferential, more compliant, that it’s a bad time to strike. How can you counter a powerful multinational in this economy?” Michael LeRoy, another labor relations professor at the University of Illinois, said Caterpillar has served as a model in legitimizing tough labor strategies, like take-it-or-leave-it contract offers. strikebreakers continue to be bussed into the plant, while Caterpillar is openly seeking permanent replacement workers from the surrounding area. Since going on strike, workers are only getting $150 a week in strike pay. Strikers are increasingly falling behind on home and car payments and some are facing foreclosure. Workers at the Caterpillar factory in South Milwaukee are closely watching a labor dispute at the company plant in Illinois realising that the outcome of the dispute could be a bellwether for labor relations across the country. While the wealthy continues to get wealthier, employees continue to fall on hard times. The actions by Caterpillar and the actions of other corporations along with governmental policies detrimental to workers are directly responsible for the increased income and wealth of the wealthy. Caterpillar workers are confronting not just a single employer but the entire capitalist economic and political system that is impoverishing workers in every country in order to enrich the wealthy few. Over the past four years, Britain committed £9.3 billion to building structures for the 2012 Summer Olympics opening tomorrow, most of them in Newham, north of the River Thames. In addition to the 80,000-seat stadium and other sporting venues, the projects include an athletes’ village of elegant, apartments with glass balconies and polished woodwork, set in sculpted parkland. During that same period, More than a million people face debt arrears or homelessness, according to the Chartered Institute of Housing, and almost 7 million borrowed last year to pay rent or mortgages, according to an estimate by Shelter. Once the Olympic Games finish, the U.K. developer Delancey Estates Plc and Qatari Diar Real Estate Investment Co. will convert part of the athletes’ village into 1,439 homes for private rental. The housing company Triathlon Homes will convert the remaining units into 1,379 apartments for rent at below-market prices. The project will help offset about 450 housing units that were destroyed to make way for the stadium, and the Carpenters estate, where the number of housing units was originally about 700. The lack of affordable housing is the biggest problem facing the city, according to London Citizens, a community organizing group. “London councils are reluctant to set aside land for cheap housing because they can earn so much money by selling it to developers,” says Neil Jameson, director of London Citizens. “Without cheap housing, people have to move away from their families.” London has the world’s second-most expensive residential real estate after Hong Kong, according to broker Savills Plc. Newham’s 308,000 residents are the most crowded in England. For each 100 housing units, there are 301 people, according to data from the 2011 census published this month. That is 50 percent more than in the wealthy borough of Kensington & Chelsea, with 199 people for each 100 houses. The pressures of the housing benefit cuts are forcing people to smaller accommodations. Newham residents on low incomes can try to rent private accommodation if they can’t get a council-owned property or a place from a nonprofit housing association. A private one- bedroom apartment in Newham costs about £818 a month, more than double the average monthly council rent of £345. The average monthly housing association rent is £419. Newham’s average rent for a private one-bedroom apartment is the 12th- lowest in London. Landlords who illegally overcrowd properties with multiple renters can double what they make on a property. Christine Lyons, Newhams housing inspector, estimates that there are as many as 10,000 outbuildings where people may live illegally - beds in sheds. With the decline of housing provided by the government, private landlords find profits in illegally breaking up houses into separately rented rooms and building sheds without permits. Newham has the second-worst income deprivation in England behind the neighboring borough of Tower Hamlets, according to University of Oxford researchers, and it has London’s highest unemployment, government statistics show. More than a third of the children live in poverty. The borough has one of the highest crime rates in London, according to the Metropolitan Police Service. In 2010, a council study found that the rate of violence against persons -- at 9.9 attacks for each 1,000 people -- was the worst in a sampling of 15 similar U.K. areas. The crowding and poverty brings with it ill health. Life expectancy in Newham is below average for England. Levels of tuberculosis and diabetes are among the highest in the nation. So are hospital admissions for asthma and the rate of people living with HIV, according to the U.K. Health Protection Agency. The super rich dock their yachts for the Olympics. Octopus, the The 414-ft. luxury $200 million super-yacht that belongs to Microsoft co-founder Paul Allen, berthed at the weekend. Alongside was the Ilona, a $120 million super-yacht owned by Frank Lowy, one of the founders of the Westfield shopping mall group. Eclipse, Roman Abramovich’s 557-ft. yacht with two swimming pools, a helipad, and bullet-proof windows — it’s believed to be the world’s biggest yacht — is due to arrive anytime. The Maltese Falcon, which is owned by Greek tycoon Elena Ambrosiadou, is expected to arrive soon as well. Up to 100 superyachts are due to arrive. A 230ft superyacht will cost £64,000 for two weeks of the Games in mooring fees alone. One of the most cherished ideals is the notion that hard work pays off. As a worker improves his efficiency, he increases the economic output of his employer while reducing his employer’s costs and expanding its profits. In theory, as the employer increases production with lower costs, the resulting savings from these productivity gains are passed along to the worker in the form of higher wages and additional job creation. In theory, productivity gains—measured by the total amount of goods and services produced by each worker—should be accompanied by wage increases.Unfortunately, that is not the reality. A new study from the N.C. Budget and Tax Center confirms what a lot of worker advocates have been saying for some time: average North Carolina workers are working harder and more productively than ever but their their wages are stagnant or falling. North Carolina’s workers output per worker (measured by the state’s share of real Gross Domestic Product)5 increased dramatically between the formal end of each recession (the trough) and 30 months into the recovery (the most recent wage data available). Yet inflation-adjusted median wages (in 2011 dollars) have either stagnated or fallen over the same period. Workers are not being rewarded for their more efficient work and increased output. In an interview with The Daily Telegraph, Tony Blair, the former prime minister launched a defence of the free market and liberal economic rules established by the Thatcher government. Perhaps he is worried about his own neck. Blair’s commercial interests since leaving Downing Street five years ago includes being an adviser to JP Morgan, a US investment bank; Zurich, a Swiss financial firm; and has clients, including several governments, which are said to deliver an annual income of about £20million. As Blair says ''We’re not against wealth" SOYMB believes that to be the royal we ! Between 1980 and 2010, notes an analysis of IRS tax data this past spring by economists Emmanuel Saez and Thomas Piketty, incomes for America’s top 1 percent more than doubled, after inflation, to an average $1.02 million. Average incomes for the nation’s top 0.1 percent, over that same span, more than tripled, and the top 0.01 percent - average incomes more than quadrupled, to $23.8 million in 2010. In 2010, Forbes reports, America’s 400 richest collectively held a rather awesome $1.37 trillion in wealth. But much of the wealth of the super rich is actually hidden. Tax-havens host over 3.5 million paper companies, thousands of shell banks and insurance companies, and tens of thousands of shell subsidiaries for the world’s multi-nationals, trans-national companies. Fewer than 100,000 people - just .001 percent of the world’s population control over 30 percent of the world’s financial wealth. Americans make up, according to various previous surveys of the world’s ultra rich, almost a third of the world’s super wealthy. That would put the American share of unrecorded offshore private assets as high as $10 trillion. After inflation, average incomes for America’s bottom 90 percent fell - by 4.8 percent - between 1980 and 2010. Americans in this 90 percent averaged $31,337 in 1980, only $29,840 in 2010. Poverty is spreading at record levels across many groups, from underemployed workers and suburban families to the poorest poor. More discouraged workers are giving up on the job market, leaving them vulnerable as unemployment aid begins to run out. Suburbs are seeing increases in poverty. Millions could fall through the cracks as government aid from unemployment insurance, Medicaid, welfare and food stamps diminishes. Today's minimum wage is epic in its injustice and Dickensian in its cruelty. It's a shame that Dickens himself isn't here to write about it. America's large corporations: They're Ebenezer Scrooge, rebranded and publicly traded. The life they've decreed for their workers would be all too familiar to the Cratchit family - especially Tiny Tim. 92 percent of the 50 largest low-wage employers in the country were profitable last year. And they've more than recovered from the recession: 75 percent are collecting more revenue, 63 percent are earning higher profits, and 73 percent have higher cash holdings. They've got the money. They just don't want to spend it on labor costs. Big corporations tack on a lot of overhead for their total employee costs - costs which includes those overpaid CEOs, along with their jets, and other perks, as well as more legitimate expenses for centralized corporate functions like purchasing, administration, and IT. There are also other fixed costs attached to employing someone, including insurance, physical housing, and utilities. While most of us continue to struggle Wal-Mart profits grew by 23 percent. America’s largest employer Wal-Mart doesn’t pay living wages, nor does McDonald’s, Taco Bell, KFC, Pizza Hut, and so forth. Perhaps this might be one factor accounting for record profits generated by these firms during a time when so many consumers are struggling just to get by. After all, the largest expense for corporations comes from the labor force. For US-based corporations, this expense keeps shrinking due to layoffs, benefit cuts, and outsourcing. Four in ten households in New York City are forced to subsist on low-wages and over one-quarter of workers in New York City earn below $25,000 per year. Across the city, families are forced to choose between rent, food, and healthcare. A family making minimum wage is forced to subsist below the federal poverty line. After years of layoffs and high rates of unemployment, wages and benefits are being cut. On top of that, workers are working longer hours without overtime pay, health insurance or any retirement benefits. For decades, corporations, banks, and the ultra-wealthy have reaped financial rewards from America’s bubble economy at the expense of working-class Americans. During this stretch, the majority of the gains from US productivity have been disproportionately distributed to the top income earners. Over the years, these inequities have accumulated into an ever-increasing wealth and income disparity. Now that the illusiveness of America’s bubble economy has been revealed, millions of Americans remain jobless; many without hope. Millions of Americans have lost their jobs, their homes and any dream they had for their future at the hands of capitalism. Yet, they have done nothing about it. It’s business as usual in the United States. We, the victims have been told we will be responsible for cleaning up the mess created by the capitalist class. For us it will be austerity. Pensions have been slashed, taxes have been raised, jobs have been cut, while Social Security, Medicare, and Medicaid are on the chopping block. For most Americans, who have managed to keep their jobs, the situation has not been anything to cheer about. Since the financial crisis, US workers have seen the smallest wage increases since 1965. After adjusting for inflation, there have been no increases in median wages since 1999. The minimum wage has dropped 30 percent - almost a third - since 1968. Unlike some other government rates, the minimum wage isn't automatically adjusted for inflation. Bills which raise it have to be submitted by courageous politicians, and then other politicians must resist big-business interests to vote for it. Many people assume that most minimum-wage employees work for small, family-owned businesses. But a new Data Brief from the National Employment Law Project finds that 66 percent of low-wage employees work for companies with more than 100 employees. That includes a handful of very large corporations which collectively employ nearly 8 million low-wage employees. The largest of those mega-corporations is, unsurprisingly, Wal-Mart, with 1,400,000 employees. The next-largest is Yumi Foods, which owns Taco Bell, Pizza Hut, and KFC. After Yumi Foods comes McDonald's. Also on the list is Staples, the corporation where Mitt Romney boasts that he "created jobs" before his retroactive resignation from Bain Capital. These are "job takers," not "job creators." Wal-Mart and most other corporations on the low-wage list, doesn't really "create" jobs. Smaller enterprises of all kinds are crowded out by the unchecked growth of mega-corporations, which often use their volume to undercut the locals on price until they're driven out of business. Then they raise them again. In other words, Staples and the other giant corporations are taking those jobs from other businesses - those Mom and Pop shops which will soon vanish into American folklore. Corporations like Staples are masters at "marking down" the value of their employees. Average Staples salaries for job postings nationwide are 51% lower than average salaries for all job postings. Among those employees, you'll probably find the "Moms" and "Pops" which Staples put out of business. Staples, where a jobs website reports that cashiers make $8.17 per hour, so-called "Easy Techs" make from $8.76 to $9.08 per hour, and the highest paid reported job ("Easy Tech Expert") pays an average of $10.28 per hour. If these employees work full time (not all of them do) they earn anywhere from $16.340 to $20,960 annually. The poverty line for a family of four is $23,050. Nevertheless, top executive compensation averaged $9.4 million last year at these firms, and they have returned $174.8 billion to shareholders in dividends or share buybacks over the past five years. The losers in all this are the workers, the very people who are creating value for these companies. Politicians bury problems in platitudes and boasts. Today, four years after the financial crisis, not one single Wall Street executive, government official, or banker has been indicted for their role in destroying the global economy. It’s business as usual on Wall Street. Insider trading, money laundering, tax evasion totaling hundreds of billions if not trillions of dollars, continues to escape detection by industry regulators. Goldman Sachs got away with blatant securities fraud to the tune of billions of dollars. Goldman Sachs got away with a slap on the wrist; a small fine relative to the amount of money it made. Obama’s presidency was bought and paid for by Wall Street since Goldman ponied up the most (private-sector) money for his presidential campaign, with several other banks not far behind. Wall Street continues to laugh all the way to the bank, while Washington and the media provide them with cover. The vast majority of Americans are now faced with reduced living standards that can no longer be masked. Meanwhile, those in Wall Street party on. It’s time for some real change. 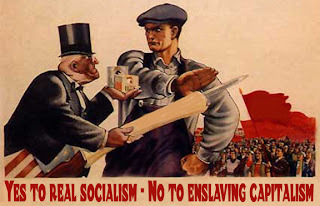 It is time for real socialism. July 4th - Celebrating what? Nothing New - You Can Bank On It! !